At last Nikon has a professional-level APS-C-format camera to replace the D300S and compete with Canon's EOS 7D Mk II. It's a fantastic DSLR that's packed with pro-spec features, including an impressive AF system and great low-light credentials that enable it to produce high-quality pictures in a wide range of conditions. A brilliant choice for the action and wildlife photographer. Meet the new DX flagship, the Nikon D500. At first glance, it may seem unimposing—but contained within a streamlined camera body is a veritable powerhouse of processing power and technological advances. The D500 is ready to go wherever your passion leads you, capturing everything with stunning clarity, speed and resolution. From busy, low-light cityscapes to thrilling wildlife scenes and fast action shots, the D500 is the ideal companion to your wanderlust. Marvel at the clarity of its cinematic 4K UHD video. Be amazed at its ruggedness and versatility. And, once you’ve captured your gorgeous photos, admire them on the D500’s high resolution tilt touchscreen display and share them via the built-in SnapBridge (Wi-Fi® + Bluetooth) capabilities. No matter what you shoot, you can be sure that the D500 will be up to the task, time and time again. The sleek and beautiful D500 goes anywhere you go, bringing along stunning resolution and performance. Packing a lot of power into a smaller camera body thanks to its DX sensor means you can take advantage of the smaller and lighter DX lenses in the NIKKOR line—and when you’re travelling, every ounce counts. The best part is, there’s no need to sacrifice image quality to gain portability. The D500 strikes the perfect balance with its 20.9 megapixel CMOS sensor, and is ready to capture the exquisite details, colors, and textures this world has to offer. With the D500 at your side—whether you’re hiking through the lush landscapes of New Zealand or on safari in Africa—it will be ready to go, effortless and unobtrusive. Like every Nikon DSLR, the D500 is best paired with legendary NIKKOR lenses which provide unequalled clarity and versatility. The NIKKOR legacy is unmatched—there's a reason over 95 million have been sold to date. Each lens offers a different view from which to capture your memories. Shooting landscapes or portraiture? The fast AF-S DX NIKKOR 16-80mm f/2.8-4E ED VR could prove to be your best friend. Or, extend your range with the lightweight AF-S DX NIKKOR 55-200mm f/4-5.6G ED VR II, ideal for shooting sports, parades or distant architecture. No matter your choice, pairing the Nikon D500 with renowned NIKKOR lenses is a recipe for success. The new D500 is a technical marvel, the fruit of Nikon’s tireless strides towards producing the world’s greatest cameras. To preserve life’s most fleeting moments, you need a camera with incredible speed. The EXPEED 5 processor in the D500 opens up a world of possibilities, processing images fast enough to allow up to 10 frames per second so you don’t miss a moment of the action. The new Multi-CAM 20K autofocus system provides 153 AF points including 99 cross type points, which together enable you to create images that match your vision. 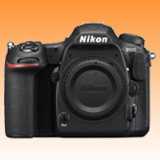 It is also the first Nikon DX camera to utilize the new XQD memory card technology, which provides faster read/write and transfer speeds to fully take advantage of the D500's speed. Not quite ready to upgrade to XQD? That’s no problem, as the D500’s dual memory card slots can accept SD media as well. Although compact in size, the D500 certainly packs a punch. Not much light to go around? The D500 makes the most out of every bit of available light, giving you the flexibility to produce high quality images in dark environments. With a native ISO range of 100 - 51,200, expandable to Lo 1 and Hi 5 (50 – 1,640,000 equivalent), the versatile D500 is not intimidated by difficult low-light conditions, down to -4 EV. Rich details emerge from the shadows to produce unrivaled quality found only with Nikon cameras and lenses. They say that good things come in small packages, and the D500 is no exception. A powerful but smaller sibling of the D5, the D500 features the same durable, rugged build and ergonomics you’ve come to associate with Nikon DSLRs. Built with rugged magnesium alloy and carbon fiber materials, and featuring dust and water-drop resistance you'll have peace of mind even when shooting in extreme environments. The D500 also leverages a 3.2-inch 2,359k-dot tilting RGB LCD touchscreen, making it easy to get the shot even from high or low angles. Your images. The world. Connected. Now, sharing your amazing photos is easier than ever—the D500’s SnapBridge functionality enables multiple built-in connectivity options. Liberated from the constraints of connecting wires, you can transfer your images to a compatible smart device from anywhere in the world using Bluetooth Low Energy (BLE) technology to eliminate the barrier between your camera and smart device. As an added benefit, the D500’s built-in Near Field Communication (NFC) capability makes it a breeze to connect the camera to your compatible smart device while the built-in Wi-Fi capability allows for faster wireless image transfer. For those looking for an even faster transfer solution, the D500 is also compatible with the optional WT-7A, enabling transmission of files to an FTP server or computer at speeds of up to 866.7 Mbps. 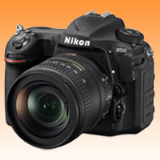 The Nikon D500 Digital Cameras was added to the Digital Cameras category in June 2016. 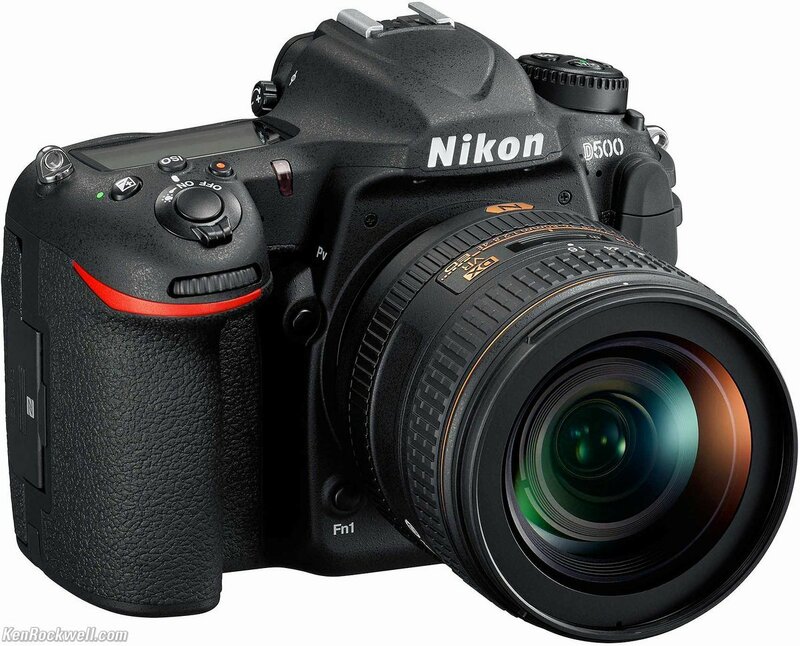 The lowest price GetPrice has found for the Nikon D500 Digital Cameras in Australia is $1,888.85 from Ryda Dot Com. Other merchants who stock it are Ryda Dot Com, Becextech, Etoren, Digital Camera Warehouse, Amazon AU, Video Pro, CameraPro, Dirt Cheap Cameras, Camera-Warehouse, Camera House.